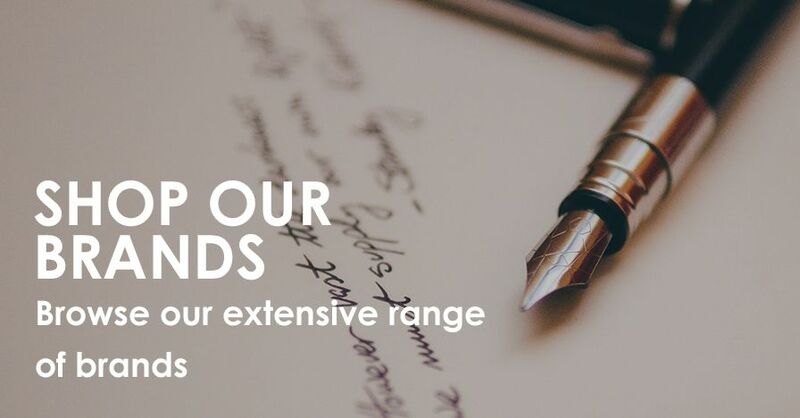 Whether you’re a first-time buyer, a pen enthusiast, an experienced pen collector ­or a pen expert, at The Pen Shop we’re committed to helping you to find the perfect pen. This guide brings together the collective experience and knowledge of the people behind The Pen Shop and introduces you to our different styles of writing instruments. Buying a pen to use every day? Want something special to commemorate a birthday or anniversary? 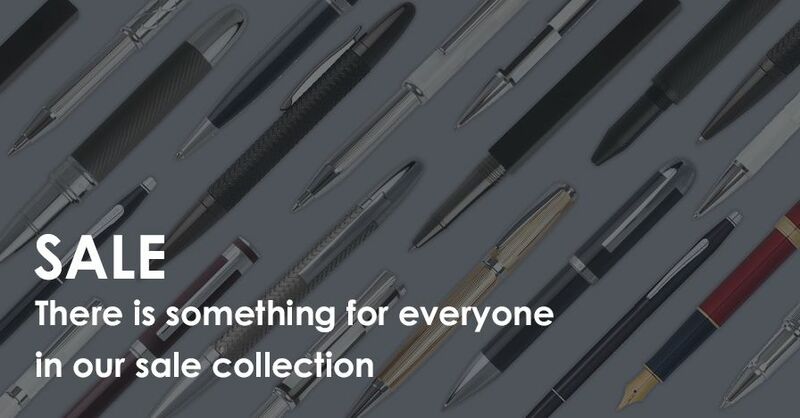 Hoping to find the next luxury pen to add to your collection? With such a vast array of choice and different types of pens at different price points, it can be hard to choose a pen as a gift. This guide will help you make a decision – and find a pen they’ll treasure. 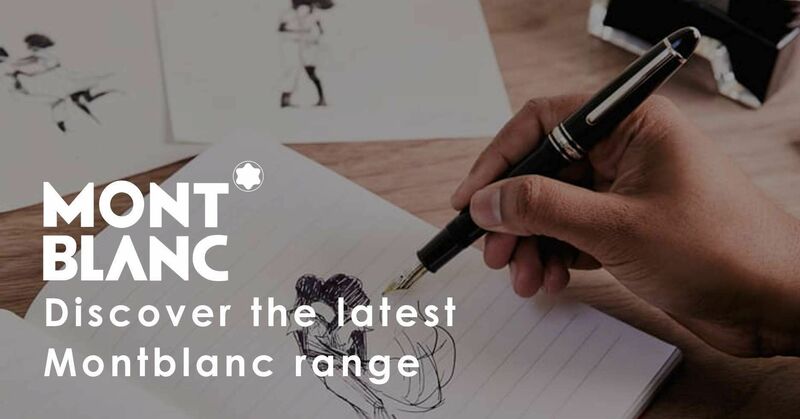 From starter handwriting pens to exclusive limited edition releases – explore and enjoy our range of writing instruments using this pen buying guide. Fountain pen vs. ballpoint vs. rollerball: Which one should you choose? We’re often asked what the differences are between writing with each of these different types of pen, from how they write to the different pen nib types that are available. 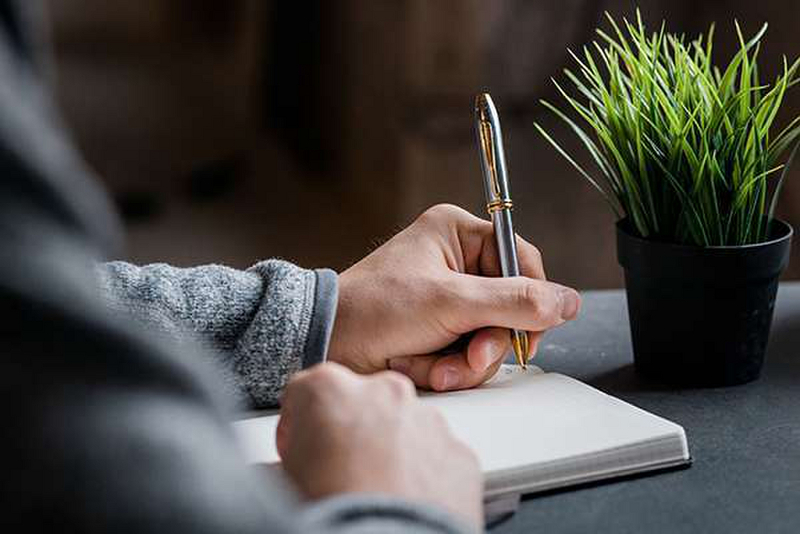 To help you understand the differences and to make the right choice for you and your writing needs, here’s a brief guide to each style of pen. Fountain pens have a distinctive nib, which is available in a wide variety of styles, depending on the manufacturer and specific range of pens. Nibs can be made from different materials, including solid gold and steel. Like a rollerball pen, fountain pens generally have a push on or screw on cap to prevent the ink inside the pen from drying out. True fountain pens use bottled inks and generally have a piston-type mechanism that draws the ink through the pen from the nib. Cartridge pens use disposable ink cartridges and cannot use bottled inks. Fountain pens fitted with a converter use both cartridges and bottled inks. Most fountain pen manufacturers issue their new pens with a medium grade nib. There is no industry standard to define the specific width of a medium grade nib, and so nibs will vary from manufacturer to manufacturer. Medium grade nibs are generally suitable for the majority of people who choose to write with a fountain pen. However, alternatives are available. Rather than being interchangeable between models, each fountain pen manufacturer will set the alternative nibs they make available for their particular pens. People who have small handwriting can struggle to write with a fountain pen whose medium nib will be simply too broad for their penmanship. The problem? When they form the letters e, a, and o, the letters will look the same, while the circular elements of the letters d, p and b will fill with ink. Exchanging this person’s medium nib for a fine grade nib will transform their writing experience and allow them to write with the definition and the style that only comes from writing with a beautiful fountain pen. People whose handwriting looks spidery and scratchy when they write with a fountain pen will find that replacing their medium nib with a broader nib will help them to form their letters and write smoothly and with style. If you’d like more advice on choosing a nib for your fountain pen, please call us on 0191 232 3853 or email on sales@penshop.co.uk. Steel is a flexible material that can bounce back into shape more easily than gold. Steel nibs for fountain pens tend to keep their shape, no matter how much they’re used. This means that the writing experience you get when your nib is new is how it will stay and always be. If you’re able to come to one of our stores, you’re welcome to try our different nibs to find one that suits your handwriting style. If you’d like more advice on choosing a nib for your fountain pen, please call us on 0191 232 3853 or by email on sales@penshop.co.uk. If your steel-nibbed fountain pen is not going to be used for some time, we recommend you clean it and remove all the ink from the nib. This will give you the maximum service from your nib. One of the softer metals, solid gold has less ability to bend back into its original shape than steel, which makes it ideal for fountain pen nibs. As you start to write with a solid gold nib, it will begin to respond to the pressure you exert on your pen and begin to fit or ‘bed in’ to your style of handwriting. We recommend that after purchase, you use your gold-nibbed fountain pen every day for at least two or three weeks. After this amount of use, then, your nib will write in this way for the rest of its life. If you’d like more advice on choosing a nib for your fountain pen, please call us on 0191 232 3853 or email us on sales@penshop.co.uk. All fountain pens listed on The Pen Shop website are supplied with a medium range nib. To arrange an alternative nib for your pen, please call us on 0191 232 3853 or email us on sales@penshop.co.uk and we’d be delighted to help you. With over 160 years’ experience of helping people to choose the perfect pen, we understand that sometimes, for some reason, a fountain pen nib might not feel quite right. It could be the width of the nib, or it might be material from which it’s made that doesn’t suit your penmanship. Whatever the reason, if the nib on your new fountain pen isn’t quite right for you, you can return your pen to us in its original condition and, where possible, we’ll arrange the fitting of an alternative nib grade of your choice for you. It’s worth noting that, as a rule, cartridge pens use cartridges that are unique to their brand. 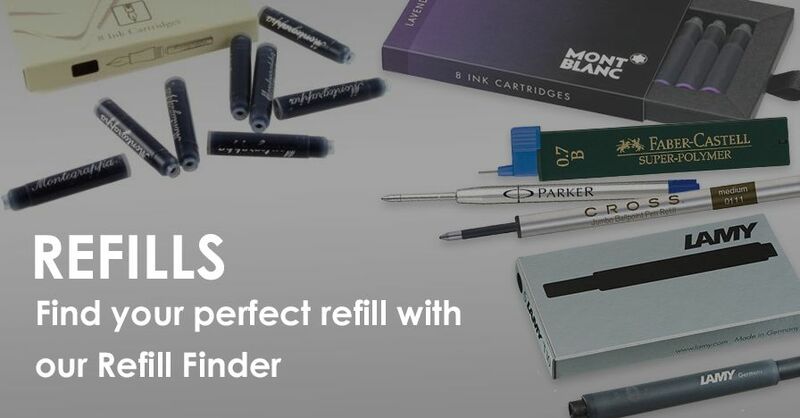 For example, Montblanc, Parker, Waterman, Cross, Lamy and Sheaffer all manufacture cartridge pens, but none of their cartridges can be used between the different brands. When was the last time you looked for bottled inks? If you’re buying a fountain pen for the first time in a long time, we think you’ll be delighted with the range of modern inks we stock. Modern inks are low in chalk to give a brighter colour on the page ­– and they’re available in a wide range of vibrant shades. Ballpoint pens are probably the most widely used writing instrument in the UK. Depending on the manufacturer, these pens are made ready for use with either a click of the cap or a twist of the button on the end of the cap. Ballpoint pen refills come in a choice of fine, medium or broad points – the broader the writing ball, the thicker and darker the line it makes on the page. Reliable and convenient, ballpoint pens have the longest refill life of any type of pen – lasting roughly two-thirds longer than a rollerball refill. Ballpoint pens manufacturers supply their pens with a medium grade point in either blue or black ink. The most popular colours for ballpoint refills are black and blue. Red and green are common alternatives. A key difference between rollerball and ballpoint pen types is the ink the two pens use. Rollerballs use water-based ink, which can easily smudge, while the oil-based ink in a ballpoint pen dries quickly. Oil-based inks, then, are harder to smudge on the page – but ballpoint ink leaks and spillages can be difficult if not impossible to remove. How does a ballpoint pen work? Ballpoint pens work when the small ball bearing at the tip of the nib is rolled onto paper. The casing of the ball bearing is so tight that the rolling motion creates friction, and it is this friction, which makes the ink inside the pen flow onto the paper. We all have different handwriting styles, and we all hold our pens differently. If you hold your pen at an acute angle, close to the surface of the page, the chamber that contains the rolling ball of your ballpoint pen can pick up and collect tiny paper fibres from your page. These fibres can then create a sensation of scratchiness as you write and the fibres may cause blobs of ink to form at the pen’s tip and fall onto your page. If this happens, try holding your ballpoint pen at a wider, more obtuse angle, which will help to keep the edge of the ball chamber away from the surface of your paper. Have you dropped your ballpoint pen? We recommend that any ballpoint pen refill that has sustained damage to its writing tip be thrown away. This is because leakages of oil-based ballpoint pen ink happen slowly – but any stains they create can be difficult if not impossible to remove and can cause items to be beyond repair. Like ballpoint pens, rollerball pens write with a rolling ball tip and, like fountain pens, most rollerballs have a push on or screw on air-tight cap, to prevent their water-based ink from drying out. How does a rollerball pen work? The ink in a rollerball pen works when the rolling ball tip makes contact with the paper. This allows air into the refill, which makes the ink flow. The key difference between rollerball and ball pen types is that rollerball pens use water-based rather than oil-based inks. Like fountain pens, then, their ink can smudge for a while, before it dries. With two line thicknesses, fine and medium, rollerballs write in a style that’s similar to that of a fountain pen, making them a popular and convenient alternative. All rollerball manufacturers offer either black or blue ink refills. Very few companies offer alternative colours, which is worth considering if you like to write with different coloured inks. Our customer service pledge gives you the confidence to shop with us both in-store or online. Many of our new pens come with a guarantee card, which we’ll endorse as originating from us here at The Pen Shop. If you or your recipient want to exchange your pen for a different item, you can return it, unused, to any branch of The Pen Shop or call us on 0191 232 3853, and we’ll both arrange an exchange and help to choose an alternative item. We want you to love what you find with us. That's why we offer our no quibble refund policy.